Creation can often be a messy affair. Yet, the results might still surprise. 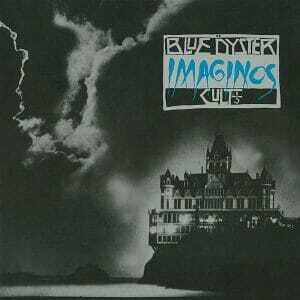 When ‘Imaginos‘ hit back in 1988 any misconceptions about BLUE ÖYSTER CULT being just a Rock band quickly perished. Two decades of proto-Metal unraveled into Prog Metal fury. An 80s stand-out. Although the entire classic line-up of BÖC is credited in the liner notes, ‘Imaginos‘ began in the 70s as a side-project of Drummer/Guitarist Albert Bouchard and Producer Sandy Pearlman. Over the course of many, many years Pearlman and Bouchard wrote and recorded enough material for what could have easily been a double album. Record label disputes and ongoing feuds with BÖC, for which neither Pearlman nor Bouchard where still associated, kept this “nearly” finished product shelved for years, as well. 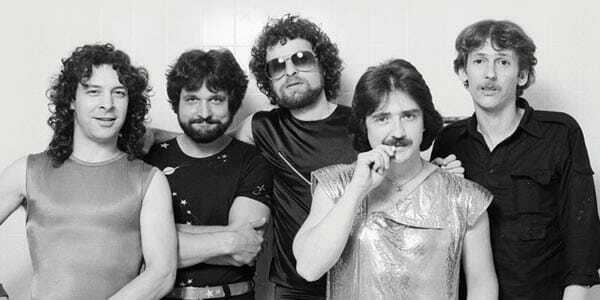 The classic line-up of Blue Öyster Cult. A sea of interchangeable session musicians contributed parts in what became multiple decades worth of writing, recording, and mixing that, amazingly, still sounds a lot like trademark BLUE ÖYSTER CULT. Out the gate Metal anthem “I Am the One You Warned Me Of” absolutely destroys with axes aplenty and powerful Eric Bloom vocals. While the Goth-tinged horror opera “In the Presence of Another World” offers a stellar Metal guitar showoff. The pretentiously epic “The Siege and Investiture of Baron von Frankenstein’s Castle at Weisseria” is easily the heaviest (and best) song here. And polished, re-Imaginosed versions of classic ‘Secret Treatries’ tracks “Astronomy” and “Subhuman” (now called simply “Blue Öyster Cult“) blend in nicely. However, closing title track “Imaginos“, unfortunately, shows its 1970s roots as an extraneous mess of bottomed out bass and disco stylings that leaves things on an unnecessarily cheesy, retro note. Despite the soap-opera drama surrounding its creation, ‘Imaginos‘ is a great album. Whether it’s true BLUE ÖYSTER CULT is inconsequential when the finished product is this good. Spanning decades of creation, ‘Imaginos’ marked a commercial low point for Blue Öyster Cult. Nonetheless, the finished product is a grand collection of Classic Rock and Metal that should not be overlooked.